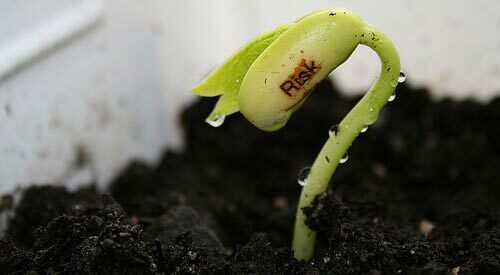 This is the second part of Financial Risks And Personal Finance Risk Management series. In the first part, we looked at financial risks and risk management as they relate to your income and expenses. In this part, we will be looking at risks pertaining to your assets and credit. Develop SMART financial goals and plan of execution. Practice frugal living and spend less than you earn. Learn how to invest properly and limit your investment expenses. Additionally, you should employ investment strategies that are proven to improve performance — i.e., leverage tax advantaged investments, create globally diversified asset allocation, regularly add new money to your investments, reinvest income generated from your investments, keep the investment costs as low as possible, etc. Learn about risk and return characteristics of each asset class and choose the right investment mix for each financial goal. Learn about the capital preservation characteristics of each investment type. For example, your money is relatively safe in your savings account, CD, money market, and treasury — but the trade off is lower rates or return, possibly lower than inflation. On the other hand, you could lose it all with stock market, small business, and real estate — but the returns on investment are potentially higher. To reduce diversification risk, understand the concept of investment correlation and diversification so that you can reduce the overall volatility and risk of your overall investment portfolio. Protect your physical assets against theft or destruction with appropriate types of insurance — e.g., home insurance, car insurance, business insurance, etc. Moreover, limit your personal liability with an umbrella policy. If you have a business, choosing an appropriate business entity — e.g., LLC and corporation — can reduce your personal liability. Lastly, spread your savings across and investments across several financial institutions to take advantage of FDIC insurance. To reduce your depreciation risk, avoid spending money on assets than do not gain value over time. The most obvious examples are automobile, designer jewelries, and electronics. These items are 99.99% guaranteed to lose value over time. Spending too much money on debt related expenses — e.g., higher interest rates, finance charges, etc. Reducing your debt accumulation is the same as increasing asset accumulation — i.e., practice frugal living, spend less than you earn, and earn more money. Moreover, if you are already in debt, you need to employ one of the many debt reduction methods — i.e., debt snowball, debt avalanche, etc. — and go after it with a passion. Learn the difference between good debt and bad debt, and avoid the bad ones like plague. If you’re already in debt, pay down your debt as fast as you can to reduce debt related expenses. Additionally, you could also try negotiating with credit card companies and refinance your mortgage (if you have one). Employ various methods to protect yourself against identity theft, such as, protect your personal information, monitor your credit score, and enroll in identity protection program — e.g., LifeLock or IdentityForce. Learn how to improve your credit score and avoid activities that negatively impact your score. Also, be sure to regularly monitor your credit report (Do you know the difference between credit score versus credit report?). This concludes the Financial Risks And Personal Finance Risk Management series. I hope you enjoyed it. If you have something to add to this article, I’d love to hear it! Pinyo, very solid tips for everyone to follow. I’d recommend people print this article and use it as a primer when setting up a financial plan going over their annual financial statement. Great series Pinyo and thanks for linking to my good debt bad debt article. Great information! It’s nice seeing all of this listed out. Sometimes I forget how complicated personal finance can be. It’s not just “spend less than you earn.” There is a lot we have to consider and keep track of. Thanks!